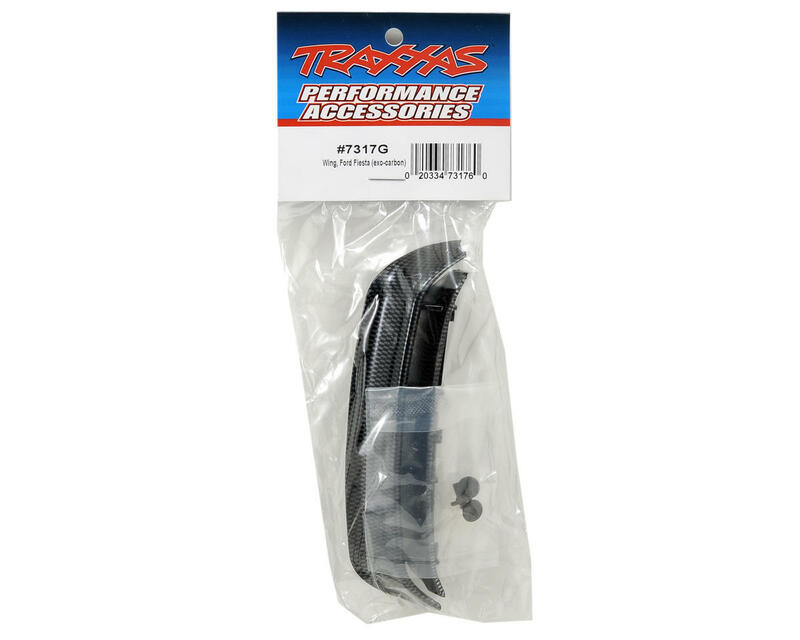 This is an optional Traxxas Exo-Carbon Ford Fiesta Wing, and is intended for use with the Traxxas 1/16 Fiesta and Ken Block Gymkhana Fiesta. 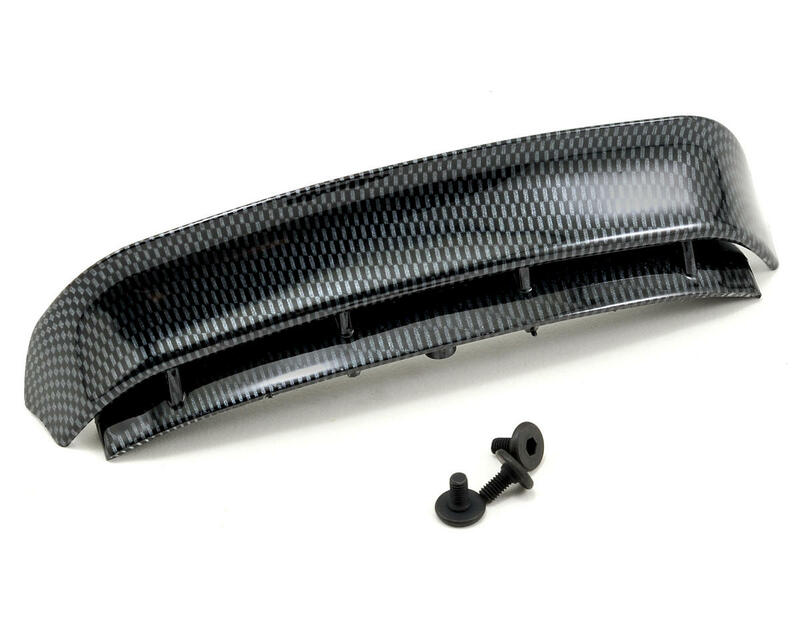 Add a high-tech, carbon-fiber look to your Fiesta with the Traxxas Exo-Carbon Wing! The innovative Exo-Carbon finish forms a tough, glossy skin that simulates the appearance of woven carbon fiber on the molded plastic wing. Exo-Carbon resists abrasion for long-lasting good looks, and the wing installs in seconds using the included hex hardware.